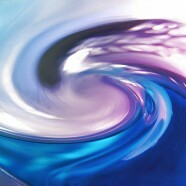 Home » Articles » MegaShift-the best news since? Have you ever read a non-fiction book which is un-put-downable? 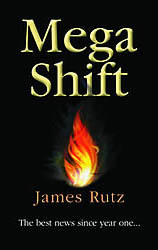 If a quick survey of my close circle of Christian friends is anything to go by, books like James Rutz’s MegaShift are few and far between. Wow. That’s setting the bar real high. Does this book deliver? Two pages in your heart rate accelerates as you read how God has brought people back from the stone-cold-dead in 52 countries during the last 20 years. James and his team of researchers have thoroughly investigated each of the miracles detailed in his book. In a lot of cases, James himself has spoken to (and seen) those who have been resurrected. Take, for example, five-year-old Arjun Janki Dass who died in New Delhi from electrocution. The treating doctor told his parents to call a mortician. Instead, they called the nearby Deliverance Church. Church leader, Rodrick Gilbert, came to the boy’s house and brought with him a 60-year-old widow from the lowly Dom caste named Savitri and two other Christians. They prayed over the boy’s dead body for six hours and then he snapped back to life. Today he’s a happy, healthy nine-year-old. It’s inspiring to see photos of Arjun and Savitri in the book, along with others. Like Nigerian Pastor Daniel Ekechukukwu, who died in a car crash, had chemical preservatives injected into his body and was laid out on a slab ready for embalming. His wife Nneka believed he would be raised from the dead, and took his body to a Church. At 5:15pm, nearly two days after his death, Daniel was brought back to life. This resurrection has been documented like no other, and most of it has been captured on video camera. The photograph of Indonesian Bible College student Domingos is particularly confronting, a scar nearly ring-barking his neck. He was caught up in Muslim-Christian riots in Jakarta in 2000 and was found by police, dead, and with his head almost completely severed. They threw his body onto a large truck. Domingos says an angel told him to go back to his body because, ‘It is not your time yet’. Unlike the other two resurrection accounts mentioned above, no-one prayed for Domingos. God did it all. James describes in his book what he calls the Endgame of God. And as far as games go, this one is, literally, the game to end all games. ‘Miracles are happening like popcorn starting to pop. That is amazing enough, but they are also attracting numbers of people globally that no movement in history has ever seen before’, he says. In this end game, James claims, the world is rapidly becoming all-Christian. Did you catch that? Not all Muslim, or all atheist ‘all Christian’. James’s figures show a billion people will switch their loyalties to Jesus in the next 11 or 12 years. On the Day of Pentecost, 3,000 people were saved. Will we ever see people coming to the Lord in large numbers like that? James says yes! Every 25 minutes, around the world 3,000 more people come into the Kingdom of God. In 1900, there were 2 million evangelical or charismatic Christians in Africa. By 2000, there were 200 million. In Latin America during that period, the born-again population zoomed from 1 million to 170 million. And in China, just since 1950, Christianity has exploded from fewer than a million to almost 120 million. While some may argue that most of this growth occurred in the ‘heyday’ of Christianity before the 1960s, James argues most of the growth has occurred in the last 20 years, with a new core of white-hot Christians growing at an incredible rate of eight percent per year. This growing heart of the global church is a powerful mix of charismatics, Pentecostals, evangelicals, and a few Catholics. In 1970, there were 71 million of them. By 2000, there were 707 million. Straight-line projections are silly because nothing ever goes in a straight line. But to give you a comically precise picture of our current momentum: At 8 percent growth a year, the world would have more Christians than people by the fall of 2032! Up until 1960, Western evangelicals outnumbered non-Western evangelicals ‘mostly Latinos, blacks and Asians’ by two to one. But as of 2000, non-Westerners had shot ahead by four to one. By 2010, it will be seven to one. James says, ‘Never before in history has such a large part of humanity changed its religious loyalties in one century’. He goes on to say the Church may begin to experience what he calls Victory Shock. We expect life, and our Christian journey, to be hard. Pessimism, he says, is passa, boredom is obsolete, and defeatism is dead. And so adjust to it! The first is intercessory prayer ‘prayer warfare and prayer evangelism’. The second is empowerment of the laity. James says, ‘Empowerment of what used to be called the laity’ is the greatest paradigm-shattering event since the rise of the priesthood class in the 2nd century. What we are seeing today is the biggest shift in the history of the church: a transfer of momentum from the steady hands of the leaders to the fleet feet of the followers. The third engine of change is reconciliation, and the fourth, identificational repentance. The fifth change engine is spiritual mapping, and the sixth is the formation of rabbit teams. Kamla Bai was a Christian in India. Her two children had been slowly dying of two different diseases. One night God gave her a detailed dream of a man who would come with a group of westerners with a message that God was going to make her a prophetess, and as a sign that this was of God, the man would pray for her children and they would be healed. The next morning, she awoke to find her children completely well, and two months later, the rest of her dream came true (ironically until that point neither Kamla nor her Pastor believed in prophecy). Since then she has been a key person in a rabbit team that goes from town to town, starting churches that are geared to multiplying quickly, like rabbits. Kamla and her team plant about 50 churches a year. The seventh and eighth engines of change are on-site prayer and fasting. And the ninth one is leadership teamwork, or multi-denominational cooperation. The final engine of change is media evangelism, via television, radio, press and internet. According to James, to maintain today’s rapid growth, the Lord is raising up a new breed of disciples liberated, empowered, responsible Kingdom builders. They aren’t spectators. They’re unstoppables. At times this book is exhausting. Let me briefly tell you about some other phenomenal people. There’s Mannu Lal, 55, who started a thousand house churches in India in four years. Tawpaun, 33, a wife and mother in China, who planted 233 churches in one year and baptized 12,000. There was a 90-year-old Chinese lady who led 5,000 people to Christ simply by putting up a little sign at a well known suicide spot at the top of a cliff which said, ‘Before you commit suicide, come see me at (her address)’. Extraordinary to you and me, but they say they’re just followers of Christ. They say they’re just using their spiritual gifts. Today there is a way to use it and it’s not by wasting away in a pew, counting the dead flies in the fluorescent light fixtures, as James so eloquently puts it. The book concludes with a story set in 2012 about a visit to, the Church you started back in 2005! It provides very interesting insight (or should that be foresight) into corporate worship on a large scale in this new paradigm. Whilst his style may not be to everyone’s liking he’s humorous, hands-on, thought-provoking and sometimes confrontational this is a book you can’t afford to miss. A lot of what he’s saying, particularly what he believes are the key engines of change needed to bring in the harvest, align with what is taught here at The Pines. We may differ on some minor things, but the underlying premises are similar. We, too, believe in these days God is re-distributing the power in His Church back to the laity, empowering and equipping the priesthood of all believers. The cover of MegaShift includes the sub-head, The best news since year one! You can make up your own mind when you read it for yourself. This book paints a practical, user-friendly picture of the post-modern Church operating in a similar way to its first century predecessor. Again I say, ‘Read it’. At the very least, you will be encouraged by what God is doing in miraculous ways all over this globe. At the very most, you will be inspired to take up the mantle and become an ‘unstoppable’.